The last couple of weeks Team MCFly has inflicted several dreadful meetings on itself, in the name of schmoozing and snout-in-troughing. It’s not the rigid and unimaginative non-participatory style that irks the most. No, it’s the blizzard of bu… zzwords. That’s what we will call them. 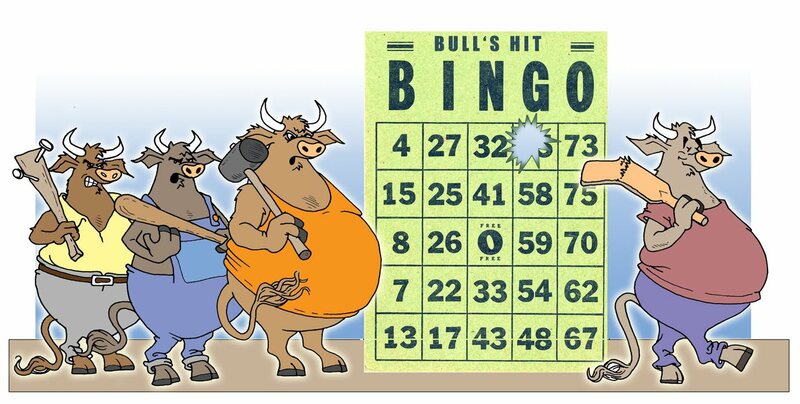 So, to save our own sanity, we’ve come up (with a little help from our friends, especially Master Cartoonist Marc Roberts) with “Bull’s Hit Bingo” cards. This entry was posted in bingo, buzzwords. Bookmark the permalink.